Featuring an American menu with Italian influences, L’Amico honors the food of both Executive Chef Laurent Tourondel’s past and present – inspired by both his upbringing in the European countryside, and a career spent reimagining and redefining “American” cooking and classics. The restaurant’s menu harkens back to Tourondel’s memories of long Sunday suppers with his maternal, Italian grandmother, filled with memories of freshly flowing produce from his family’s garden that cultivated his own love for simply prepared dishes and precise techniques. 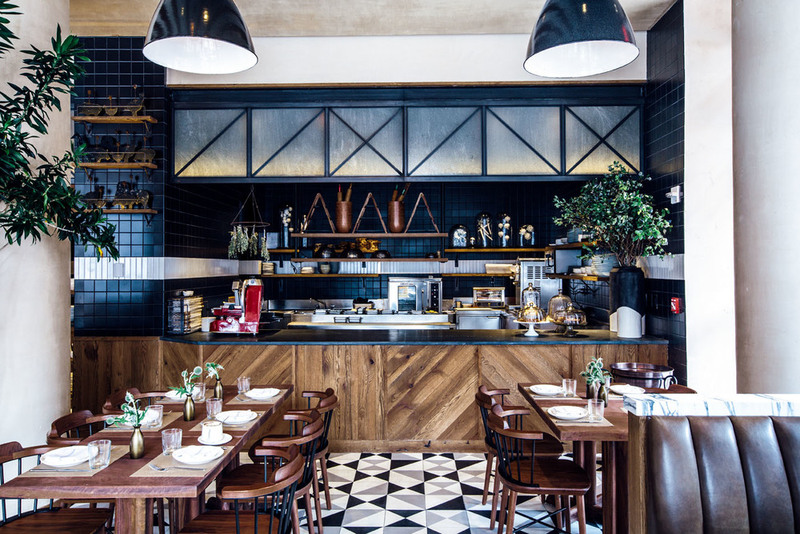 The kitchen, visible throughout the dining room, as well as to passersby on Sixth Avenue, brings to life the diverse menu that includes Tourondel’s take on American favorites such as pizza, fired in twin copper-clad, wood-burning ovens, freshly extruded pastas, and selections of charcuterie. Our OpenTable reservations page can be accessed by clicking here. 212.201.4065 or email us at info@lamico.nyc. To inquire about hosting a private event at L'Amico, please fill out the form to the right, or email julie@lthm.nyc.